Well folks, I have something that is pretty darn exciting today! What is it you ask? How about a giveaway!!! As you all know, I am currently on Bltisy's Creative Design Team. 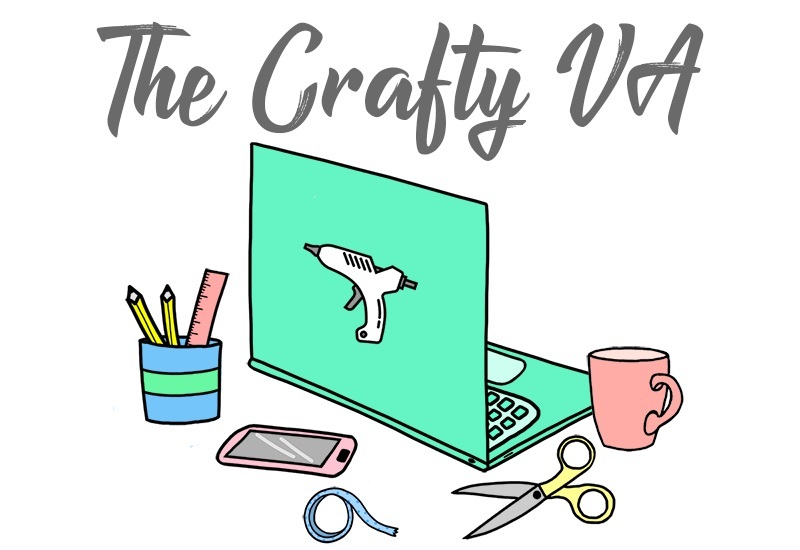 Now if your not familiar with Blitsy, they are an online craft store that sells craft supplies for up to 70% off. There you can find supplies for paper crafting, needle crafts, kids crafts, fine arts, jewelry making, and so much more! For the holidays Bltisy has created a giveaway contest called Bltisy's Golden Scissors! 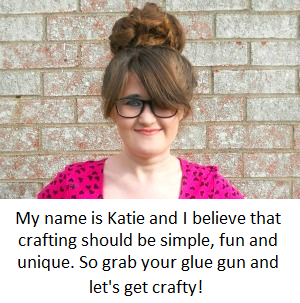 I'm happy to say that the Golden Scissors have come to Running with a Glue Gun! So I like to welcome you all to the Bltisy Golden Scissors Blog Hop! Each blog in this hop is giving away a pair of Golden Scissors, which means you have 13 chances to win! 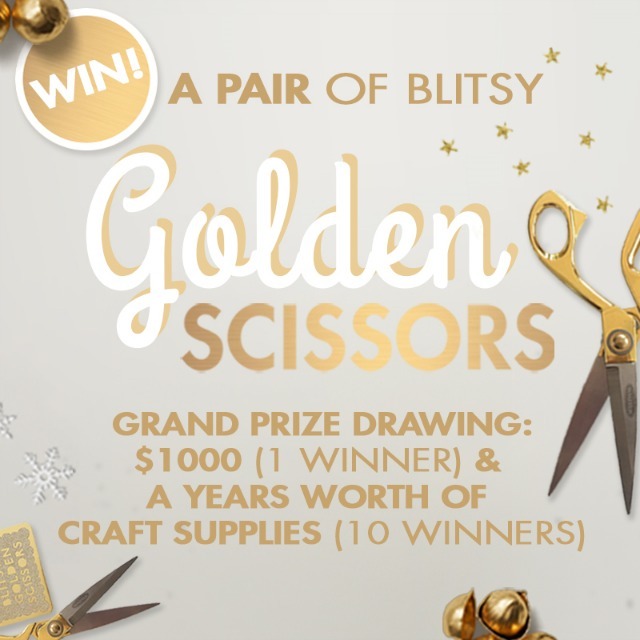 You definitely want a pair of the Golden Scissors because then you'll be entered into the grand prize drawing for $1000 to spend at Blitsy or a year's worth of craft supplies! You should have gotten to me from Just Trya and (encase your wondering) I am last in the blog hop! 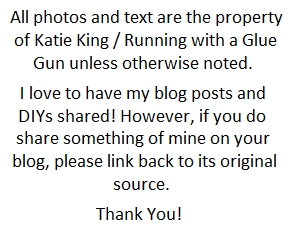 Also just leave a comment on each blog for your entries. So before we get into the meat and potatoes about how to enter, I'm going to give you a sneak peek at some awesome deals that will be happening on Blitsy! Here are your sneak peeks at some of Bltisy's holiday deals! I will say that I own two of the We R Memory Keepers punch boards and the Zutter-Tool-it-All and absolutely love the products! So I would definitely check those items out! Also if you're curious about when sales will be occurring, below are the times and dates. Wanna enter? Then below is what you need to know! Leave a comment about the sneaks (or sneak peeks) that I've revealed, for your entry on my blog. So leave a comment on this blog and make sure you go through each blog in this blog hop. Its important that you do so, because it will increase your chances of winning and you will discover more amazing deals! Start the whole blog hop by clicking here! p.s If you want to RSVP to Blitsy's Black Friday Pajama Party then click here!